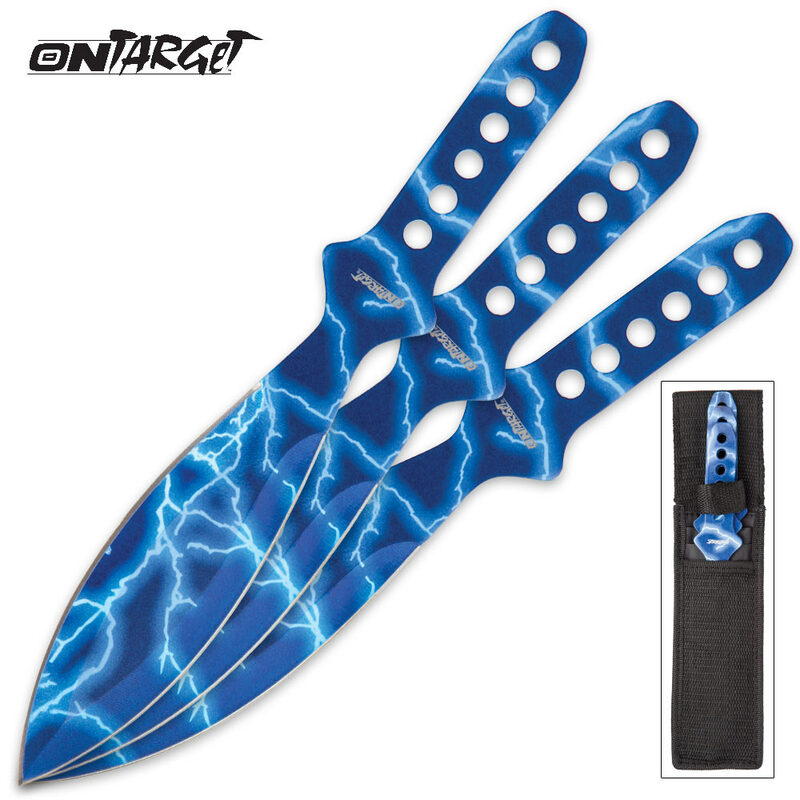 The On Target 3-Piece Thunderbolt Throwing Knife Set lets you strike down enemies from a distance! 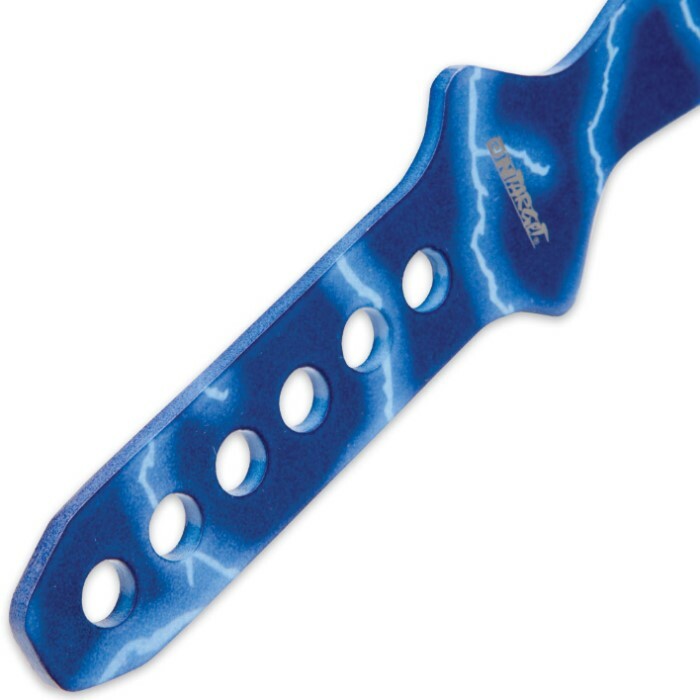 The spear point blades are perfect for penetrating a wide range of materials. 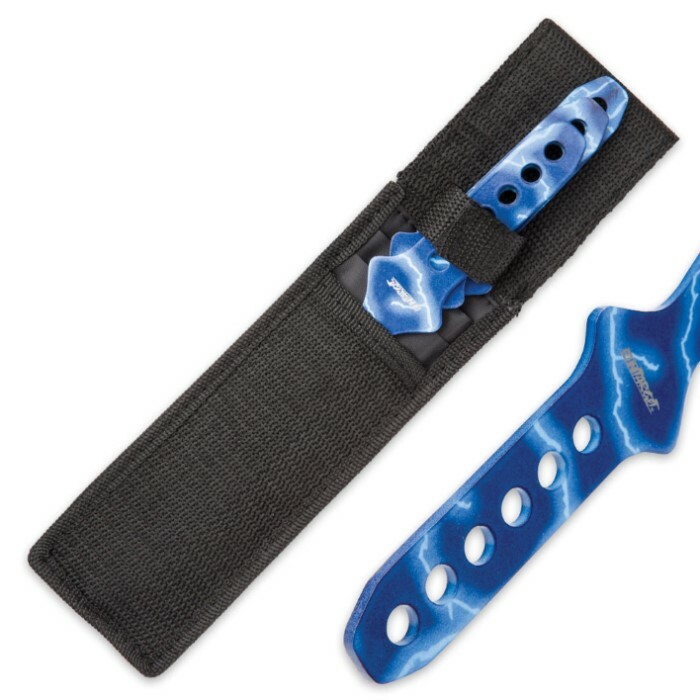 Each of the long distance daggers in this set is a single 9" piece of extraordinarily resilient stainless steel with an electric blue lighting wrap around graphic. Each thrower features superb balance for easy precision accuracy on every throw. The set includes a tough black nylon belt sheath for easy transport. Even if you’re not the blade battling type, these sleek throwers are tons of fun in backyard target practice or friendly competitions!